I finished a small truck dump tipple for Big Chimney, West Virginia this past weekend and thought I would post a few pictures. 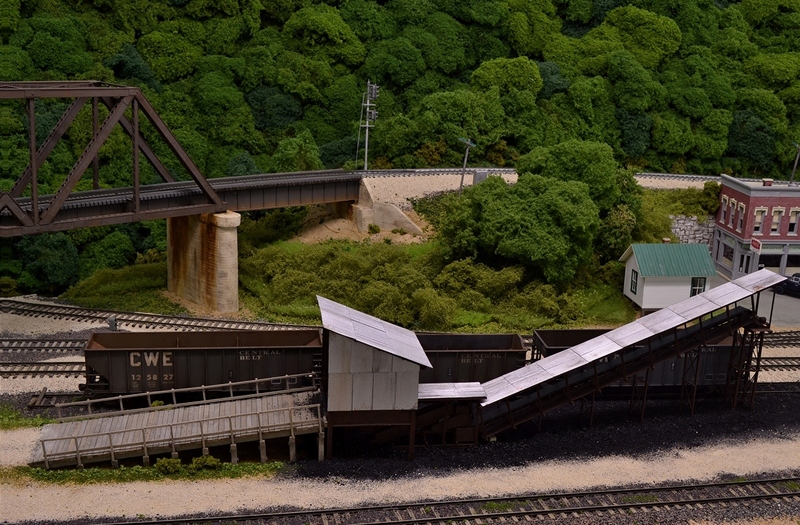 The structure is based on two tipples on the Clinchfield Railroad. The first is a small truck dump tipple located at Haysi on the Clinchfield Railroad. There are some great shots of this tipple in Bob Helm's book titled "The Clinchfield Railroad in the Coal Fields" that were taken by Everett Young. The second is a small tipple that was located at the south end of Dante Yard. You can see a photo of the tipple at Rob Wolshlager's Clinchfield Country website here: www.clinchfieldcountry.com. The structure was scratch-built using styrene shapes and strips, Plastruct shapes, stripwood, and Campbell Scale Models corrugated siding. Construction took a lot longer than I thought it would, but as the structure sits between the main line and the fascia, I wanted it to be a fairly detailed model. You can see some in-progress photos here:http://cwerailroad.blogspot.com/2012/04/progress-on-truck-dump-tipple.html. Here's a shot of the overall scene. 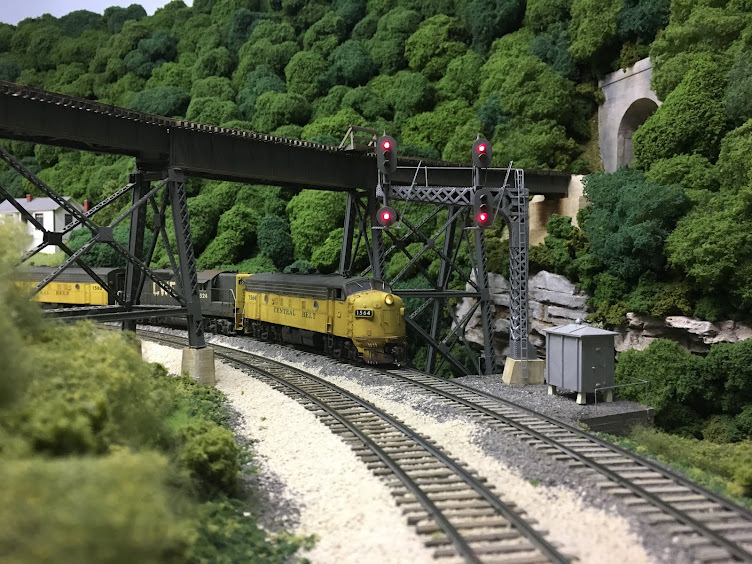 The crews that work the Big Chimney Roustabout should now have a better idea of where the empty hopper cars should be spotted.